My Apologies for not writing in a while. 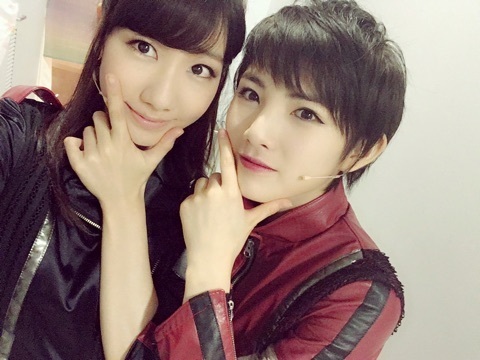 I thought I would write about the Majisuka Gakuen stage play. There were also difficult times when I wanted to attend practices but I could not go. I really caused a lot of inconveniences especially to Director Kayano-san. He was able to understand my nature instantly and created an environment that worked for me. I have nothing but gratitude towards him. Using this post, I would like thank him once more. Also, about the members that appeared in the play together with me. Everyone was very serious and passionate that I was purely touched by it. I think I definitely would not have been able to overcome this wall by myself. I truly think it was great to have taken part. At every show, I truly felt blessed hearing everyone’s clapping and seeing everyone’s smile. I never thought I would feel such sense of accomplishment. Thanks to the stage play, this has been an unforgettable summer. I love how honest she seems as of late. Has it been like this before and I am just noticing it now? She has always been pretty honest, though usually on mobile blog only.